We, The People of Wisconsin, have elected our own representatives. We are ruled by our own elected leaders, not the unions. 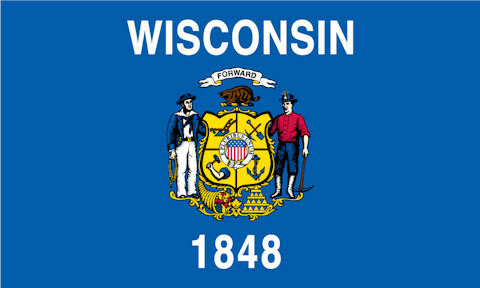 Wisconsin Thanks Governor Scott Walker and Republicans! 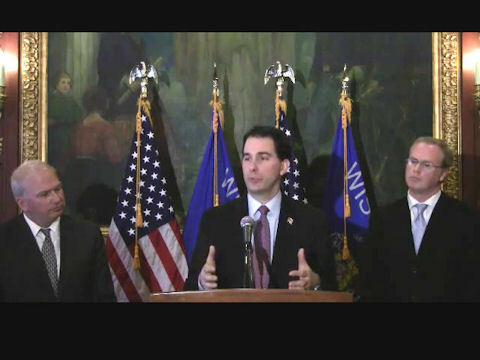 This video was made on behalf of all of the Wisconsinites who support Governor Scott Walker and the republicans in the state senate and assembly. Thank you all for your courage! Thank you for standing up to the unions and their threats and intimidation. Here’s another good conservative song, which features pictures of the union protesters in Wisconsin. An effort to recall the Wisconsin State Senator Jim Holperin is being run by a group called the “Recall Jim Holperin Committee,” which is led by Kim Simac. The group was started when the 14 democrat state senators, including Jim Holperin, fled the state for several weeks and went to Illinois in an effort to prevent a vote on Scott Walker’s budget bill. The group has set up a website for the recall at http://recalljim.com/. On Friday, March 10, 2011, the “Recall Jim Holperin Committee” organized in Merrill, WI to collect signatures for the recall effort. They set up a table with signs outside the courthouse because of threats made to the business, where they were originally going to meet. While the “Recall Jim Holperin Committee” group had their things set up outside the courthouse, they were met by a group of union protesters who proceeded to surround them and block people from signing the petition. Additionally, some protesters from the union side ripped up petitions and wrote profanities on them. The video above shows a defaced petition. The initial story from WAOW can be found here, along with the video below. If all of this was not bad enough, it is being reported that the police on the scene did little to stop the union protesters and their bullying tactics. That might not be too surprising, since they are also union members. According the Merrill Police Chief Ned Seubert, “we know they prevented or made it very difficult for people to obtain the signatures however I only had five officers as well and to try to break up this group would have been impossible for us.” The full WSAW story on this is here. Wow Chief, that crowd of maybe 20 or so people must have been really hard to cover with 5 police officers. Help spread the word, conservatives! Don’t let the union thuggery stop us. Blog it. Share it. Tell everyone that you can about this story!